Do you struggle with lunchbox ideas for your kid’s school lunch? Just go on Pinterest, right? You’ll see all sorts of ideas for kids' lunches. They’re adorable…and also TOTALLY AND COMPLETELY impractical for most of us. Who has the time to meticulously cut out carrot flowers or sculpt kitty faces out of cheese?! Not I! So yea, if you pack a lunchbox from home, getting it together in the mornings is a challenge, especially when everyone’s rushing out the door. Plus, what on Earth do you put in the lunch? It’s hard to know where to start. 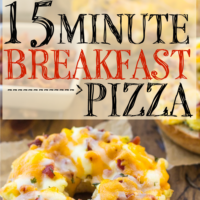 Try some of these easy and fast lunchbox ideas that are perfect for busy school morning rushes! If you’re mom of a preschooler or kindergartner, figuring out the whole “lunch routine” is tough. If your school provides lunch it can be expensive and there’s no guarantee your kid will even like what they’re serving. You want lunchbox options to keep your kids full and give them plenty of energy, but you’re also catering to picky tastes and school guidelines (like no nuts). Bonus points if it’s cheap and if your kids can load up the lunchboxes themselves with options you’ve prepared ahead of time. Any tricks and tips to help mornings go smoother are awesome. How can you find lunchbox ideas your kids will enjoy, but are still easy to put together and don’t cost an arm and a leg (like those pre-packaged options)? Here are 5 simple school lunchbox ideas to keep you set all year long. There are tons of easy, kid-friendly sandwich options. The great news about kids is that they tend to gravitate toward familiar choices. I’ve literally seen kids who would happily eat the SAME lunch for days on end. This makes coming up with sandwich options much easier! Sandwiches are a totally great, classic lunch option because they’re so easy. No heating, plus they’re shelf-stable and filled with tons of different ingredients your kids will enjoy. Lots of sandwich options are perfect for little kids and toddlers too. Just avoid anything with honey for young kids. One tip to remember about sandwiches: you can prepare them a few days ahead! If you're using condiments, simply add them the morning before or put a layer of cheese or lettuce in between the bread and the condiment. This will keep the bread from getting soggy and allow you to put together sandwiches a few days in advance. Cold cuts such as ham, turkey or roasted chicken: Include lettuce and cheese, especially if you’re going to add mustard or sauce to the sandwich. Keep in mind, mayonnaise is iffy with lack of refrigeration (and lunch meat too). If your child has an insulated bag, the sandwich should be okay from the fridge at home until an 11-12:00 lunch hour. Hummus and veggies, plain or flavored hummus: This is great with cheese, lettuce and peppers, cucumbers or other thin-sliced veggies. Hummus is also a great snack for kids—it’s dippable and high in protein! Hummus is fine outside of the fridge for a few hours, so it’s a great sandwich filling option. Cream cheese: Cream cheese is such an easy sandwich filling, and it’s great on a bagel or bagel thin as well. Kids always think cream cheese and bagels is a fun, grown-up option to take for lunch. If you’d like, add protein with smoked salmon, ham, or even peanut butter (if nuts are ok). PB&J: Peanut butter & jelly is always a classic. Mix it up with peanut butter and honey as well (if your child is older). Certain schools and daycares have policies against peanuts due to allergies, so check your school rules before you send. If your school does have a nut-free policy, try soy nut butter, sunflower seed butter or almond butter (if only peanuts are banned). PB&J can be made ahead and even frozen, so they’re a great option to prep in bulk and then freeze or refrigerate for later. Cheese: There are about a billion cheese sandwich options, you guys. When we think of cheese sandwiches we usually think of grilled cheese, but most kids enjoy cold cheese sandwiches as well. Use different cheese slices such as Swiss, muenster, American and cheddar. Cheese goes great with mustard, lettuce, and any kind of deli meat. In addition to a sandwich or main dish, you’ll want to prepare snacks for your kids to enjoy. Rather than buying snack packs, which cost an arm and a leg, buy your snacks in bulk at stores like Sam’s Club or Costco and repackage into kid-friendly lunch portions. 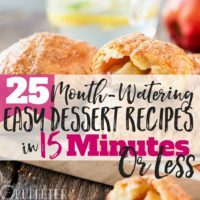 There are so many great lunchbox ideas when it comes to snacks and sides, but keep in mind, they should be shelf-stable as they will probably get stored without refrigeration (the same goes for the snacks you throw in your diaper bag). Look for snacks with protein and ingredients to stick with your kids rather than sugary snacks which will give them an energy boost but then cause a crash. DIY Luncheables: Buy crackers, cold cuts like salami and cheese (get it pre-cut in little squares if you’re short on time–but watch the price). Look for the ingredients in bulk, and then put them together in a lunchbox or baggies so kids can build their own cracker sandwiches. Kids love the idea of building their own little sandwich and you’ll feel good because you can pick healthier and cheaper ingredients. Wraps: Most sandwiches can be made into wraps with a tortilla. The fun part about wraps is you can pre-slice them into little “sushi” rolls, which kids will be super stoked to eat. You can spread banana with Nutella, peanut butter with apple slices or cream cheese and ham around pickles. Breakfast-for-Lunch: If your kid’s a breakfast-lover, frozen waffles or pancakes are a fun option. They thaw out by lunch time, and can be spread with peanut butter or sent with a little container of syrup for dipping. Cook pancakes in bulk, freeze, and you’ll have ready-made breakfast AND lunch! 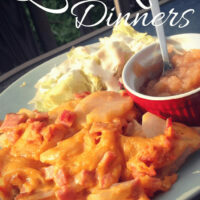 Dinner Rolls: Leftover dinner rolls are great mini buns for all kids of sandwich fillings. Kids love sliders! 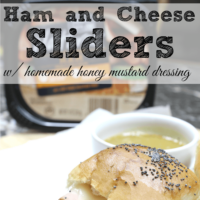 Cold ham, turkey, or other fillings come together as easy and fun mini-sandwiches especially when combined with cheese and mustard. If you’ve got a bunch of dinner rolls left over, freeze them and use them as slider buns for lunches. Cold Pastas: I use pastas in my adult lunches for work, but pasta works great in kids' lunches too. Opt for Italian dressing, as opposed to mayonnaise, and load the salad up with olives, cheese, cold cuts and other easy fillings. Kids also really like ham, pea and Parmesan pasta salad with a little olive oil dressing. Pasta salads transport easy and if they’re egg-free, they are fine for a few hours in a lunchbox. Round out your kid’s lunches with fruits and veggies. Usually a sandwich or main dish, a side or snack and one or two fruit/veggie options will keep kids full until you pick them up! Choose fruits and vegetables that won’t turn brown, get mushy or difficult for kids to eat on their own. Use seedless options and fruit without pits for kids to deal with (especially little kids). You may want to pre-slice fruits like apples and sprinkle them with lemon juice, which keeps them from browning. Or, slice up your apples, then put the apple completely back together and wrap with a rubber band. If you want to shift your family's mornings to way, WAY easier, consider putting out a snack bin, box or designated shelf in your pantry or fridge. Show kids where they pick up their sandwich or main item, and then how they can select a snack and a fruit or veggie option. Kids selecting their own lunch items sounds a little complicated, but you’d be surprised! Even kids as little as four or five can pick their own lunches and put them into their lunchbox. The cool part is, your kids will be even more excited to eat the food because they got to pick it out on their own (as opposed to opening a mystery lunchbox and being disappointed). The even COOLER thing is you won’t stress out in the morning as you’re getting your kids out the door to school and daycare. They can literally pack their own lunches! Pick a spot they can reach (like a lower cupboard or shelf in the pantry). Use a box, tote, basket or whatever’s on hand to house all the snacks. In the fridge, designate a drawer or bottom shelf the “lunch zone.” Put in a basket or bin where you can put pre-bagged sandwiches and sides when you have time to prep a bunch. Trust me: a snack and lunchbox area will simplify your life! Whether your kids go to daycare, preschool or are starting out in elementary school, you’ll be ready with plenty of lunchbox ideas! You won’t pay for school lunches your kids won’t like or eat, and you’ll save money with easy-to-create lunch options. You don’t need to be a gourmet-chef or spend tons of time in the kitchen to put together lunches your kids will enjoy. A half hour on the weekend can set you up with lunch options to last the entire week. Set up a snack box and your kids can even pack their own! Easy! So, what are your easy lunch solutions for kids? Do you have go-to options when you need to send lunch with your little one? 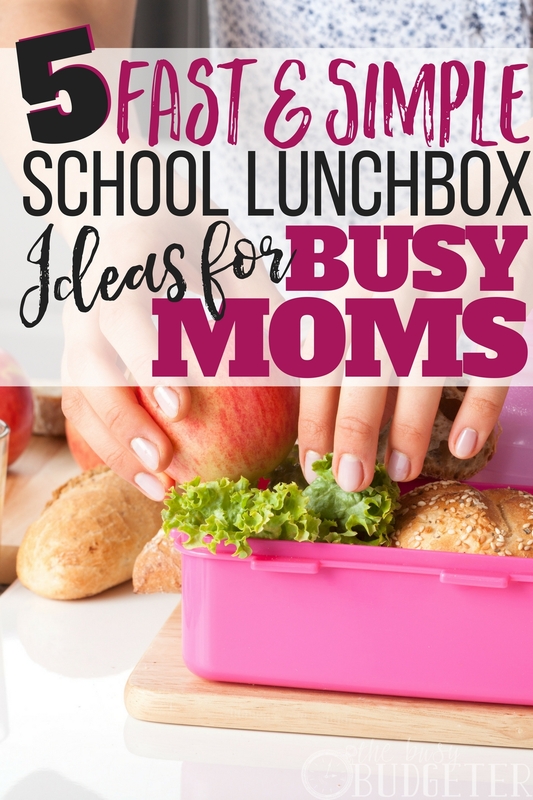 I love the idea of having a lunch and snack area and having the kids pack their own lunch! It helps the parent and young kids live to help! I absolutely love all the tips you shared! We have a little snack station in our pantry and it works really well for us! I am using these ideas for myself and my husband – we seem to have “little kid” taste! A lunch and snack box is a great idea for easy grab and go items! All of these options look amazing! I’d be thrilled to eat any of these as an adult, lol. Your kids are so lucky to have a mom that cares so much about what they eat. These lunch ideas are also great inspiration for adults. I really enjoy dinner leftovers for lunch. When there isn’t an awful lot left, I just add some cucumber, lettuce or tomatoes and turn it into a salad. Pancakes and wraps are also very welcome, either hearty or sweet.